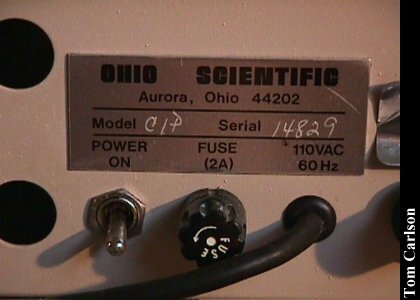 I don't really know a lot about the Ohio Scientific Challenger. But there's tons of documentation with it, so I should have more info soon. View of the front and top of the unit. View through the big vent (hole) on the back, showing part of the circuit board. Also shows the attached 9-volt battery. What does the battery do? 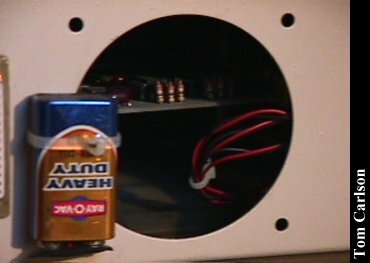 Steve says: The battery mounted on the back is the power supply for the serial port RS-232 connector on back. This serial port was added to allow connection to a modem when I first bought the computer. 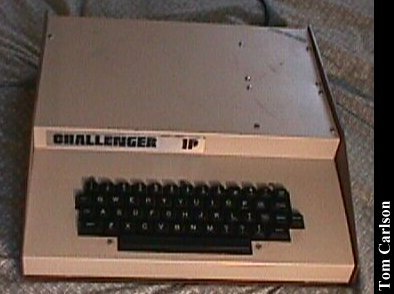 Ohio Scientific did not fully populate the motherboard to allow use of the serial port. So I added the necessary components to the motherboard and connected the battery to supply power to the serial power connection. View of the backplate, including a big hole, a 9-volt battery, and some sort of BNC video jack. 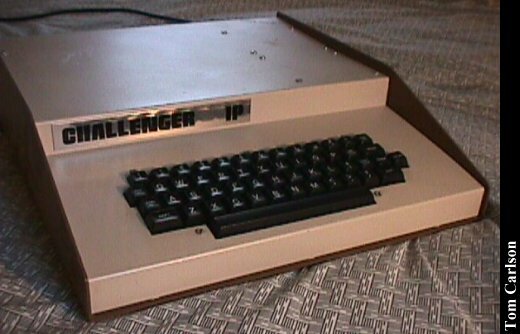 Click here to view all comments for the OSI Challenger C1P and to leave your own. 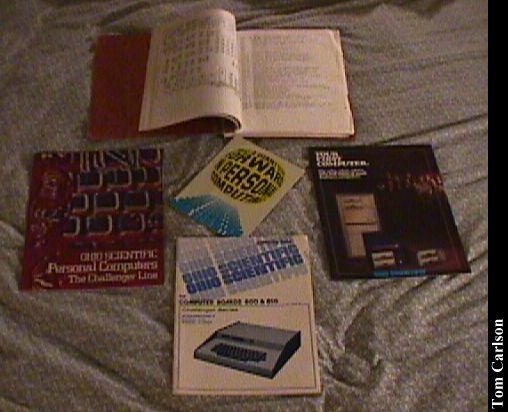 Click here to view comments about other OSI computers.